Edward Baines, the son of Richard and Jane Baines, was born in Preston on 5th February, 1774. Richard Baines worked as an excise officer until he opened a small grocer's shop in the village of Walton-le-dale. Edward was educated at Preston Grammar School until the age of sixteen when he went to work for Thomas Walker, a printer and stationer in Preston. After hearing about Richard Arkwright and his successful business in Cromford, Baines became involved in the textile industry. In 1793 he purchased some carding and roving machines from Arkwright and started up business in the village of Brindle, seven miles from Preston. 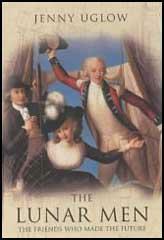 In 1793 Walker began publishing the Preston Review. The political views expressed in the newspaper upset powerful Tories in the town and the following year it was forced to closed. Unable to work as a journalist in Preston, Baines decided to move to Leeds where he found work with Binns and Brown, the publishers of The Leeds Mercury. In 1797 Edward Baines asked his father to loan him £100. With this money he joined forces with his friend John Fenwick, to go into business as a general printer. After obtaining a loan of £950 from some Whig friends Baines bought the The Leeds Mercury in 1801. Although the overall cost was £1 552, his down payment was £700 followed by £500 in 1802 and £352 in 1803. Edward Baines was a staunch Nonconformistand supported the cause of the Dissenters. He advocated that industrial towns and cities such as Leeds should be represented in Parliament. His greatest journalistic scoop came in June 1817 when he revealed that the Government of Lord Liverpool was using agent provocateurs. Edward Baines also strongly disapproved of the Slave Trade and willingly used The Leeds Mercury to support the campaign of Thomas Clarkson and Granville Sharp to bring an end to slavery in the British Empire. However, influenced by his many friends involved in the textile industry, Edward Baines was totally opposed to factory legislation. Although in favour of some aspects of parliamentary reform, Edward Baines disagreed with the working class being given the vote. Baines' criticisms of those advocating universal suffrage resulted him becoming very unpopular with radicals in Leeds. On 9th August 1819, Baines sent his 19 year old son, also named Edward Baines, to cover the parliamentary reform meeting in Manchester that was to be addressed by Henry Hunt. According to the author of The Life of Edward Baines (2009: "He felt it would offer his son a valuable experience and an ideal opportunity to hone his journalistic skills." The meeting turned into the Peterloo Massacre and his report inThe Leeds Mercury blamed both the organisers of the event and the officers of the yeomanry for the disaster. In January 1827, Edward Baines announced that the The Leeds Mercury was now owned by "Baines and Son". When he acquired the Liverpool Advertiser (renamed the Liverpool Times) in 1829 he arranged for his son to run the newspaper. After the 1832 Reform Act Leeds was granted two members of parliament. In the next General Election Edward Baines and The Leeds Mercury supported the two Whig candidates, John Marshall, the owner of the largest flax-spinning factory in Leeds, and the historian Thomas Macaulay. Marshall (2,012) and Macaulay (1,914) were elected. Michael Sadler, the leader of the factory reform movement received only 1,590 votes and was defeated. In 1833 Thomas Macaulay resigned his seat in order to take up a post in India. Edward Baines was chosen as the Liberal candidate to replace Macaulay. In February 1834 Edward Baines (1,951) defeated the Tory candidate, Sir John Beckett (1,917). His son now took on full responsibility for running The Leeds Mercury. Baines senior later recalled that he was grateful for his son's "indefatigable exertions in the management of the Leeds Mercury newspaper and my affairs and interests generally during the time that I sat in Parliament." In the House of Commons Baines supported the cause of the Dissenters. This included the measure to abolish Church Rates and bill to register Dissenters' Marriages. Baines also played an important role in the opposition to factory legislation, universal suffrage and government control over education. Edward Baines's son, Edward Baines was also an opponent of factory legislation. In 1835 Edward Baines wrote History of the Cotton Manufacture in Great Britain. In the book Baines attacked those who had campaigned against child labour. He accused them of providing a false picture of what it was like to work in a textile factory. Baines claimed in his book that "factory labour is far less injurious than many other forms of employment". He went on to argue that many of the factory children were born in bad health and that they "sink under factory labour, as they would under any kind of labour." Baines was admitted to Salem Congregational Church on 3rd January 1840. 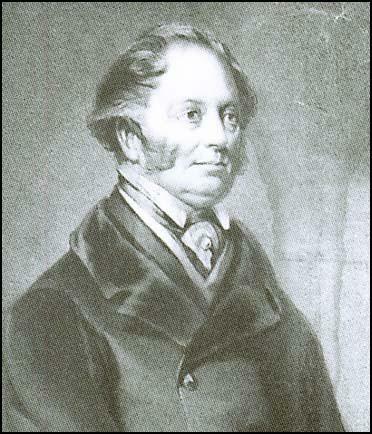 Declining health forced Baines to retire from the House of Commons in May 1841. His suggestion that his friend, Joseph Hume, should replace him was accepted. However in the election that followed, Hume was defeated by William Becket, the Tory candidate. Edward Baines was totally opposed to the idea of state education and campaigned against the government bill to set up factory schools. At a meeting in Leeds in 1843 he argued: "There is one thing this measure will do for the poor. It will deteriorate their condition. It will deprive them of their independence and lead them to look up for state supplies when they ought to look to their own industry. It will make them look upon the state instead of themselves." 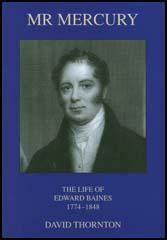 Edward Baines died on 3rd August 1848. Meetings to petition for Parliamentary Reform were held in many parts of the country; and amongst others in Leeds, in the month of January, 1817. At this meeting Edward Baines was the principal speaker. He showed the extreme inequalities and abuses in the representation, which gave members of decayed boroughs, and withheld them from the largest commercial towns, such as Manchester, Birmingham and Leeds. During this summer occurred the dismal event in Manchester, which was popularly and not unjustly called the Peterloo Massacre. I was an eye-witness, and was on the hustings, having attended to observe and report the proceedings of the meeting. I was a perfectly impartial spectator, disapproving both of the opinions and the proceedings of Henry Hunt and his colleagues. On the 16th August, 1819, when seventy or eighty thousand persons were collected at Manchester, on St. Peter's Field, to petition for Parliamentary Reform, and when Henry Hunt was addressing the meeting, a troop of Manchester yeomanry was ordered by the magistrates to take Hunt and others into custody; and in execution of this most unwise and improper order, the yeomanry dashed furiously into the midst of an unarmed multitude, whom they trampled down and struck with their sabres, till they surrounded the hustings, which they threw down, and took all the persons who had been upon them into custody. Then, galloping over the field, they dispersed the immense assemblage, who fled in every direction. Several persons were killed and hundreds wounded by this military outrage. It is my conviction now, at the distance of thirty years, is precisely the same as it was on the day of the massacre, namely, that the military assault on the unarmed and peaceful multitude was a mad, savage, and wicked act. Henry Hunt was not blameless: but the meeting was perfectly peaceable; and the best proof that the intentions of its leaders were so is supported by the fact that many young women, the daughters of the active promoters of the meeting, were placed on the hustings, from whence they were hurled when the yeomanry overturned the hustings, and were cut and trampled upon in that brutal assault. The poll for Leeds commenced on the 13th February 1834. For some hours, owing to superior arrangements and energy, Sir John Beckett. was considerably ahead of his competitor. At eleven he had a majority of more than 200 - the numbers being Beckett 718, Baines 515, Bower 6. At one o'clock the Tory majority had been reduced to 125. During the afternoon the majority was slowly reduced but at the close of the first day's poll, to the extreme mortification of the Liberals, Sir John Beckett had a majority of 70. The second day of polling was Saturday, the market-day; and perhaps never has there been so high a degree of excitement in town. The friends of Edward Baines, stung with shame at their position, made every exertion. The clothiers left their places in the Cloth Hall and gathered round Edward Baines's Committee Room. At one o'clock the majority for Mr. Baines was 30. At the close of poll, at four o'clock, the numbers were as follows: Mr. Baines 1,951, Sir John Beckett 1,917, Mr. Bower 24. Seen from the perspective of the twenty-first century, it is easy to criticise both Baines the politician and Baines the editor for his patronising views and his repeated denials to the lower classes of the same freedoms he demanded for himself and his colleagues. But Baines both influenced and was influenced by the society in which he functioned. He and his compatriots faced problems that no society had ever experienced in the history of the world. They had to devise strategies to contend with economic, social and political crises the like of which mankind had never experienced before. What Baines did was to approach those difficulties with solutions which he believed were always in the best interests of all classes in society. His denial of certain rights to the uneducated working classes was a manifestation of middle-class fears that universal suffrage would bring in its wake social chaos and the extinction of the constitution on which the whole fabric of British society was based. Though an editor and businessman, he was nevertheless always a politician, thrust into a political imbroglio which inevitably brought him as many enemies as friends. He was also a human being who demonstrated all the weaknesses and foibles of a human being. He was passionate and sincere in his beliefs, a talented journalist, a successful publisher and a caring husband and father. Today, outside the academic world of the historians of the nineteenth century, few have ever heard of Edward Baines. What attention that is given to the family tends to fall on the achievements of Edward Baines Jun. Certainly, the younger Baines deserves much credit for his own contributions to society but without the inspiration, guidance and encouragement of his father his own life would have been vastly different.